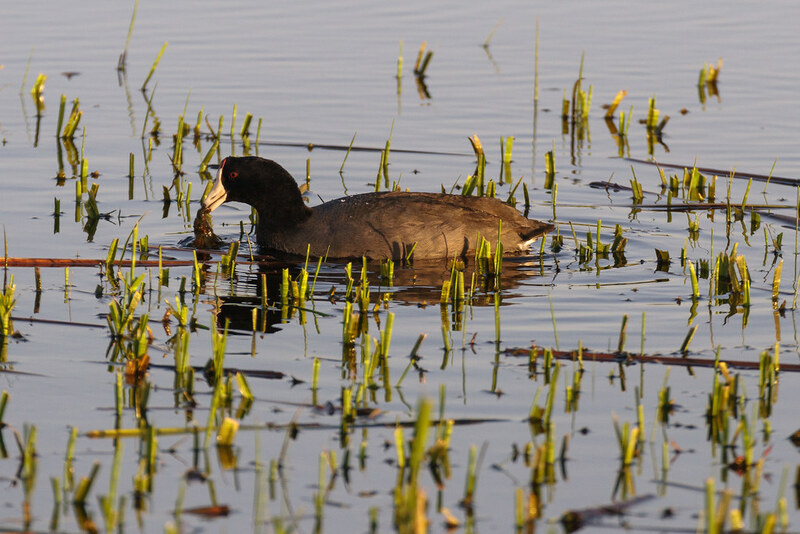 Late on a spring day, an American coot brings up plants to eat from the shallows of Rest Lake at Ridgefield National Wildlife Refuge in Washington. This entry was posted in Birds and tagged American coot, auto tour, eating, Rest Lake, Ridgefield National Wildlife Refuge, River S Unit, swimming, Washington. Bookmark the permalink.